This pink kangaroo bow mask is the perfect way to spice up a generic kangaroo costume. 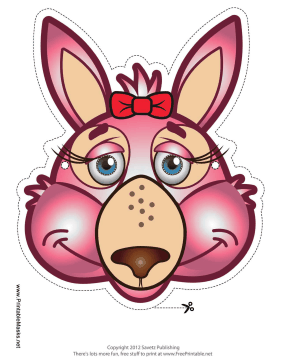 Her pink fur, long eyelashes, friendly smile, and red bow make this one delicate kangaroo. This mask is free to download and print.